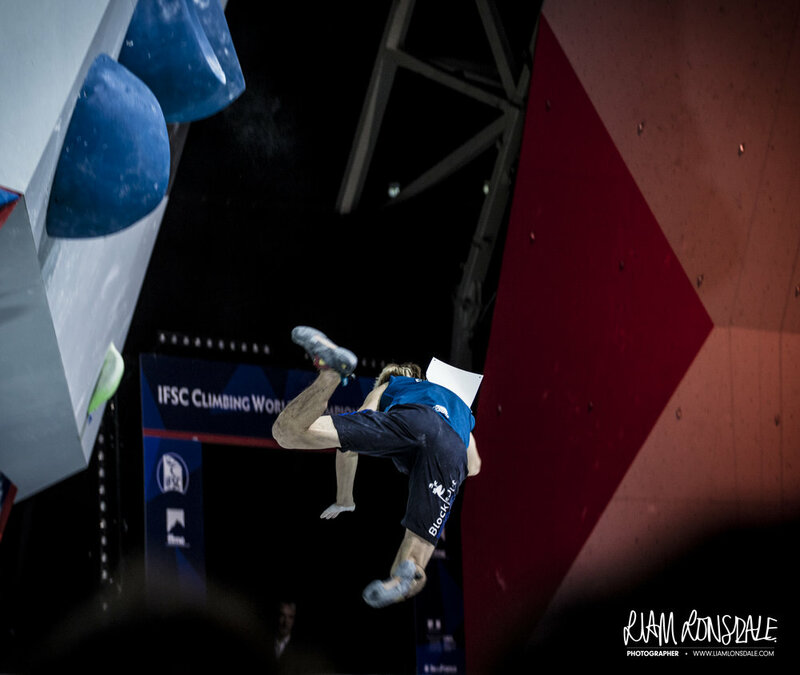 On Friday 7th April the IFSC announced that the Bouldering World Cup, which is currently under way in Meiringen, Switzerland will be streamed live, on YouTube FREE OF CHARGE. A lot of people have seen this as a massive success for the climbing community ... 'we won the battle'; however, have we won the war? The sentiment was that of betrayal. People were frustrated, upset, enraged. Just a few hours ago I was finishing a now third (now defunct) version of this article ... a follow up to my original piece, from when the news came in. I knew there and then that I would need to re-write it again. Now, more than ever, when it appears that we have got what we want ... it is desperately important that we understand the situation and use this momentum to secure the continued free broadcasting of the IFSC World Cup events. Our work here is not done. I am using this opportunity to share as much insight into the whole situation as possible and hopefully to engage as many World Cup climbing fans to take action. As per my first article, please add information, comments and opinions in the comments below or drop me an email. I have struggled to think of an announcement within competition climbing that has caused so much uproar since, ever. Throughout the last 48 hours I have been on a mission to sift through as many comments, emails, articles, posts, tweets, calls, messages and conversations on the matter as I possibly can and I am yet to find a single statement that is for the IFSC + FloSport deal (other than that of Mr Flo himself, more on that later). The furore amongst the climbing community is palpable. Announcing that the semi-finals and finals of the Meiringen round of the Bouldering World Cup will be streamed free-of-charge, seems to have pacified folks in the most part. Interestingly it will take place on YouTube as it would seem FloSport can't accommodate a 'free trial'. "Climbing is a fast-growing sport. It is a sport which moves people and catches there interest and attention. I feel that we will lose a lot of people when the paywall is reinstated to the livestream (we were speaking assuming it will be business as usual after the free trial - LL). We could be using the broadcasts to capture the hearts of newcomers and make them a part of the climbing family ... Instead we alienate them with unrealistic costs and most likely will lose them to other sports. The announcement was made in such a way that it angered spectators, federations, sponsors, organisers and especially athletes. It worries me that this is how big decisions are announced, especially with us now being an Olympic sport. I feel like there needs to be more transparency, an open look at the strategy. Climbing is not like other sports, we are all in this together. When I heard the news, speaking personally, the first thing that came into my mind was that my family will not be able to watch me anymore from home. I simply cannot expect my great auntie and uncle, who aren't climbers, to pay so much money to watch. And then, imagine if the paywall had come in earlier, my family and friends would not have been able to share the most moving & incredible moment of my life, when I won the World Championships in Paris. And so I say this, to grow the sport, we should be concentrating on getting into the hearts of the people rather than into their wallet." So leading on directly from Petra and her thoughts ... let's use that as a stimulus to ask ourselves and the IFSC a couple of questions. I have tried to feature the most prominent questions that were posed across all of the comments etc. WHY HAS THE IFSC STRUCK THE DEAL WITH FLOSPORT? I have confirmation from an anonymous source that the IFSC took the deal because of financial difficulties. Their belief is that there is a lack of money available to make a YouTube based live-stream financially viable, which was a strong influence in the decision and from what it sounds like, they are completely struggling to understand the economics behind live-streaming and the value that it brings to brands, not to mention its athletes and loyal spectators. I was keen to find out more information about the ins and outs of event sponsorship and so I had a conversation with Ben Lampkin. Ben is a London-based sponsorship professional. What that means is he works for impressive organisations that survive on the revenue gained from sponsorships; leveraging coverage, and negotiating deals with other companies to do that. Ben worked on the Goodwood Festival of Speed and was instrumental in a massive growth in sponsorship revenues there; more recently he has been working on the Virgin London Marathon. "From my perspective, it is a great shame to see the IFSC strike this deal, which on the face of it, looks as though it is going to isolate the climbing community and lose 'casual fans' in the process. Being sympathetic to the IFSC for a moment, I can see they need to generate commercial revenue from the sport, because only with increased capital will they be able to invest in new events, prize money and create an improved experience for its fans. That being said, while a broadcast deal of this type may deliver some short term capital, and hopefully a better quality production, I don't think it will enable the IFSC to release their full commercial potential. Sponsorship is one of the fastest growing marketing channels, so I would have loved to have seen new brands get involved with the World Cup events. We have just seen Ashima Shiraishi do a deal with Coca-Cola, which will no doubt take climbing to a new audience, which is just one example of the sport maturing into an attractive proposition. I have no doubt that the IFSC are also looking for sponsors to get involved and support the sport, but they've just made the task much harder for themselves. It is never easy generating sponsorship revenue, it is almost impossible if you do not have an audience from which brands can connect with." One thing really stood out to me there in what Ben said, “Sponsorship is one of the fastest growing marketing channels” and of course he is right, sponsorship growth globally grew 18% between 2011-2015 and is worth in excess of $57BN globally. We can also look to other sports to lead the way … the surfing is a great comparison. Surfing will be making its Olympic debut alongside climbing at Tokyo 2020. The World Surf League (WSL) has 12 competitions per yeara and they stream all of them free-to-the-viewer on their own website. They have well like commentators (in two languages), post heat interviews and lots of additional content – essentially what the FloSport deal is promising. Looking at the WSL website it become easy to see how they afford to steam such high quality broadcasts, free of charge: sponsorship & advertising. Some of the competition rounds have title sponsors, the whole league is sponsored by a car manufacturer, there are big brand competitions being advertised (Corona for example), there are paid ads all around the site, a store where you can buy branded merchandise and all videos are topped and tailed with multiple logos. In terms of maximising advertising revenue, I would say they are smashing it! A great example of excellent sponsorship leverage. A title sponsor for the leader board, branded well. Interestingly, a similar situation to what we are seeing with the IFSC occurred with the UCI (Union Cycliste Internationale) and the Downhill MTB World Cups a few years ago. The live streams were under threat due to a lack of funding and no deal had been struck. They were set to stop. Red Bull stepped in at the last minute and now sponsors the live events, which are free to watch on the Red Bull website. So it begs the question, why doesn’t the IFSC have the same or a similar model? A lack of planning? A lack of understanding? A lack of vision? Perhaps we will never know, but looking at the deal that was just struck with Ashima, the fact that climbing is featuring in Honda adverts, amongst many other things; the fact that mainstream brands like Adidas and Red Bull are so heavily are involved in climbing already, means that mainstream appetite is there and therefore, in theory also the mainstream budget. British companies Technative & Band Of Birds have been doing some excellent work in collaboration with the Climbing Works/BMC. Seeing resounding successes with the live streams for the CWIF competition and the 2016 British Bouldering Championships. The model is to use advertising revenue, mainly from specialist companies, to improve the quality of the broadcast and enable further development of the broadcasts. They maximise reach and impressions with a savvy social media strategy and engaging content, utilising the action as it happens to create trending media on a national and international level. The UIAA have taken similar steps in the 2016-17 Ice Climbing World Cup season, contracting out their live broadcasts to Scottish company, QTV Sports. QTV engaged highly with social media, their first video of the season has amassed over 500,000 views, more than ten times as many views as any previous UIAA Ice Climbing World Cup video. The entire season was free to watch. In short, it can be done. NEXT QUESTION. HOW WERE THE LIVE STREAMS PAID FOR UP UNTIL NOW? Good question with a hazy answer. Each round of the IFSC World Cup is run by a local organiser (eg. BWC in Munich is organised by the DAV/German federation, LWC at Ratho will be organised by the BMC). Historically the local organisers have had to pay money to the IFSC for a live stream service. I don’t know what this sum is, if you know and have the information and you’re willing to share it please get in touch. To complicate matters there have been scenarios where certain organisers have opted out of the IFSC streaming programme. As part of the contract they must still broadcast the competition and so they provide their own service. eg. The BWC in Innsbruck uses a local TV station to film the event & it is broadcast on a local TV channel. The TV channel supplies the uplink to the IFSC to get the broadcast on to YouTube and out to the world. This can be problematic, because the local channels favour local athletes and you often watch a minute of one climber chalking up on the mat whilst two others are climbing. IF THE LIVE STREAMS WERE ALREADY PAID FOR, WHY IS THERE A DEAL BEING MADE WITH FLOSPORT? SURELY CHARGING FOR THEM IS GREEDY? The only logical answer is that more money was required. Again it is unclear exactly what is happening within the IFSC for the broadcasts. The information that I can share with you is this: the broadcasts that you watched last season (2016) were filmed, produced and directed by a French company called Obsess-Medias as a contractor for the IFSC. Now let's discuss costs. Let's take the cost for a decent climbing broadcast and call it ‘x’. I have it on good authority (from a reliable source who wished to remain anonymous) that the IFSC has been paying at least 20-25% on top of that price. Without knowing how much local organisers had to pay for the stream it is impossible to work out whether they were running at a loss or not - again, it would be nice if this information was a little more transparent from the IFSC - but, given their decision to work with FloSport and the way the deal appears to have been done, I would say it is a safe assumption to say that they were indeed in desperate need of cash. FACT: Before 2016, a British company called 247.tv did the broadcasts and did a great job building the sport up from basically nothing. When that contract ended in 2015 I know that a number of different event broadcast/live stream companies made approaches to the IFSC to pitch for the broadcasting rights. I know this because I have spoken to them about it. I also know that they were stone walled by the IFSC. In other words, a deal had already been done. Another important question that we can’t answer accurately without a proper statement from the IFSC. Hopefully they will release a statement about this in the future (they are yet to respond to my emails). Interestingly, Obsess-Medias will be continuing to produce, film and direct the broadcasts, but it will be hosted/streamed by FloSport who will own the broadcasting rights. Since the IFSC announced our partnership to live stream their World Cup events on FloClimbing.com, we've seen concern from members of the climbing community about paying to watch the live coverage. We hear you. To be clear, our mission is to grow the events, the athletes, the fans, and the sports that we cover. To achieve this, we've hired more than 240 full-time employees, thousands of freelance writers, producers and artists, and invested millions of dollars into our partnerships with event rights holders like the IFSC. Simply put, we exist to build communities and economies around sports worldwide. We set out to cover sports as no one has before, by bringing fans more live events, as well as interviews, documentaries, technique and training videos, all produced by athletes and experts in each relevant sport. This is what the partnership between IFSC and FloSports will bring to climbing. We believe 24-hour coverage of sports should not be limited to soccer, football, basketball, hockey, etc. These sports were not ordained to be the most popular sports in the world. They were made that way by comprehensive live and on-demand coverage and original content. With your support, we will do the same with climbing as we've done with many other sports, such as wrestling, track, softball, jiu-jitsu and more. To learn more about how we plan to transform sports media, click here. I don't know about you guys, but that doesn't make for the most comfortable reading. It sounds a lot to me like a politician trying to dodge a bullet and get the people to swallow the juice from his poison chalice. The talk of all the employees and investment etc just doesn't ring true with me, it feels disingenuous, especially when you consider that it will be the same team, facing the same challenges, at the same venues (+ one new one) as it was last year. I don't know the guy, it is difficult to clearly interpret tone from writing, but in my opinion it stinks. Don't take my word for it, why not check out their BBB rating (Better Business Bureau)? 96% negative reviews. Ouch. What was that Martin? You did great work with Brazilian Jiu-Jitsu? And I also found this very recent comment warning people against another FloSport channel, FloSlam (wrestling). This particular comment is concluded with the user saying that Apple Store, yes the Apple Store are "...flagging the developer [FloSport.tv] for poor quality". Like I said, I am not reassured. Mr Floreani, if you or an employee/associate reads this I would love to hear your side of the story. This is your chance to really reach out to us, to the climbing community, rather than hide behind a fairly meaningless statement. This has been the hardest section to write without featuring too much speculation or assumption, because really we do not know what the true impact of the decisions of the last few days will be. One thing is for sure, competition climbing currently looks like a bit of a shambles from the side of the IFSC. Anyway, rather than speculate as what may or may not be the impact myself, I speak to people who might be most affected by the decision and those who I thought would be able to offer balanced, informed and valid opinions on the subject. A mix of pro-climbers/athletes, community members and industry professionals. 2017 is his 16th competition climbing season, Jorg is a vocal member of the athlete community and is a member of the athlete commission. Jorg won the overall Lead WC in 2008, is x2 Youth World Champion and has several Boulder World Cup medals to his name too. "This feels like a step backward. Last year it felt like there was real growth and improvement in the level of broadcast from the IFSC, bigger audiences, better coverage. What the IFSC is doing counters the spirit of climbing, but more pertinently, is also contrary to the olympic spirit. Putting the full broadcast behind a paywall, leaving only highlight packages available for people that don't subscribe is a poor decision. I am worried that we will lose our core viewers and for me that is the biggest shame. I am concerned about the quality of footage that will emerge as free-to-watch highlights packages ... First and foremost from my own perspective, I watch the live streams to see the boulder problems and the routes at competitions that I can't attend. I want to watch my friends and I want to get inspired. A highlights reel is not sufficient. Secondly, I am worried that the actual concept of a semi-finals and finals will just disappear from the web. The portal that climbers will view the competitions through will be a condensed clip of 'the best' action." "What was surprising to me was the amount that people are being asked to pay. I actually wonder what improvements they [the IFSC/FloSport] are bringing? I mean, my Netflix account is cheaper! $20 a month for climbing broadcasts sounds incredibly expensive to me. Generally speaking, I think it is ok to charge people a reasonable amount of money, only if good quality is offered in return." "For me, professionally speaking, this is a no go for so many reasons. Firstly the way in which the deal was apparently conducted and then announced was totally inappropriate and would put me off working with the IFSC. Secondly, I feel really strongly that this decision does not bode well for the immediate future of the growth of climbing as a sport and in fact jeopardises such growth. Commercially it makes no sense because the IFSC has restricted themselves by choosing only to work with FloSport. Thirdly, I feel the decision to work with FloSport will inhibit the potential growth of younger, lesser known athletes as they emerge on the circuit. Our senior athletes are leverage in ways other than the world cup. However right now, some of our more junior athletes and also potential new athletes can gain a good level of exposure relatively easily, by making a semi-final. Putting the broadcasts behind a paywall, a paywall which is totally overpriced, will mean a huge drop in spectator figures and therefore a huge drop in exposure making them less investable." "Exclusivity is not the way forward. I was utterly disappointed to hear the decision, even after the news about Meiringen I am worried about the rest of the season and the two after that. If there is to be a fee, then that money should be used to benefit the sport, primarily the athletes and competitions." "Liam, let's be honest, this is a stupid idea. Who suggested making people pay to watch a semi-professional live stream of a developing sport? The result will be that a lot less people watch IFSC climbing events and it will become less accessible to the general public. $20 per month is an astronomical amount, it is just way too much. Maybe in a few years when climbing has been at the Olympics and there is more appetite to watch competitions then it would be a good time to charge maybe $5 per month of the season ... or $30 per year. But $20? Now? No chance." This decision is not in the least inclusive. I have 3 children ranging in age from 10 to 15 who all climb. We have loved watching the live streams as a family and have used them as a means of teaching climbing techniques, a means of enthusing them to climb better and a way of inspiring them. My 10 year old especially ... his balance and coordination has improved immensely since he started climbing. How better to inspire him that climbing is worth the effort and is NOT a sport for wimps (something he gets a lot from other less enlightened children at school) than to watch the performances of climbers like Alex Megos, Jongwon Chon, Jan Hojer and Adam Ondra? We won't be paying the $20 subscription and will just have to confine ourselves to watching comps like CWIF for inspiration. My biggest concern is that this decision will be very counterproductive to the growth of competition climbing. If the IFSC really wants the sport to grow, then they should be facilitating that growth by putting the sport in front of more people, not less. It is an incredibly short-sighted decision. One of the most disturbing things about this whole process was the lack of transparency on the part of the IFSC. The immediacy of the community reaction and the sheer volume of questions that were being asked was a clear sign that everybody had been kept in the dark about the decision. The Plenary Assembly is the highest body of the IFSC and has ultimate authority for all activities of the IFSC. It convenes every year. Hang on, the Plenary Assembly didn't know? Who made this deal and how? At what level was this decision was taken. A deal like this does not happen over night. So, hey IFSC, why so secretive? Additionally, a worrying move from the IFSC was the silence between the announcement being made and their U-turn. No response to emails, no response to comments. Zero, zilch, nada. This was a MASSIVE PR blunder, but we aren't here to discuss that (yet). To rub salt in the wound, they continued to ignore the community (athletes and fans alike) after the initial announcement and even completely disregarded it with the post you see below. No response to any of the concerns from the climbing community. No acknowledgement of the petition. In fact, the post they did put out was patronising at best, with a 'business as usual' feel. A tweet from the IFSC, showing all of the athletes supporting the Peace & Sport cause. No mention of the 'red card' protest that took place. The comments below that post are scathing, see them here. 130 comments. Every single one negative. Almost all utilising the '#', #redcard, many using #keepitfree. The Red Card protest was the initiative of the Swiss organising team, hear some of their reasoning below. EVERY SINGLE ATHLETE PROTESTED & THE IFSC ESSENTIALLY COVERED IT UP. WHY? At this point we must insist that the IFSC reconsiders its position and its deal with FloSport. We know that the IFSC is responding to our concerns, because after the petition set up by Peter Crane (which had over 11,000 signatories at the time of publishing this piece) reached over 10,000 signatures, they did a U-Turn. Releasing a statement to say there would be a free trial to allow fans to watch the Meiringen round. "I felt like the message to the IFSC would be stronger if we could get people to band together. So I started the petition. It is the first petition I've ever made and I wasn't expecting much. I did know that people like me would want to feel involved somehow – it would seem I was right. I wasn't sure what the petition would achieve and still now, with the backing of so many people and in light of the decision, it is still early days. I think the most important thing is to stimulate and foster debate. We climbers are an honest and open bunch. The IFSC's decision to organise such an important deal behind closed doors, in my opinion, reflects their ongoing disengagement with the community that they are supposed to work with and represent." WHAT DO YOU THINK WE AS A CLIMBING COMMUNITY SHOULD DO NEXT TO ENSURE OUR COMPETITIONS ARE FREE TO WATCH FOR EVERYONE? COMMENT BELOW. If you have managed to get all the way down to this point in the article then high five to you. That was epic, right? I want to say a heartfelt 'thank you' to the hundreds of people that have been in touch over the last 48 hours to share information, insight and opinion. And also to the ones that just wanted to show their approval for the cause. Thank you for your patience too, I had intended to put this out much quicker but the way everything panned out and then having to re-work and re-write the article (four times) meant a big delay. Also, due to the changing playing field, I didn't manage to include everything from everyone that submitted info or opinions for the piece. I want to say a special thank you to Fran Ribolini & Peter Crane for their hard work & also to everyone that shared the article. Thanks to Beta Monkeys for shining a humorous beam on the whole situation and for including a cartoon me in on the act! I want it known that I dedicate this article and all of my actions on this issue to my good friend John Ellison. As an Honorary Member of the Plenary Assembly & founder of CAC - the IFSC Official Charity, John would be severely pissed off with this decision. Furious. I know he would be doing everything in his power to see it fixed; for the good of the climbing community and for the good of the sport. John, thank you for your continued inspiration mate, I miss you.